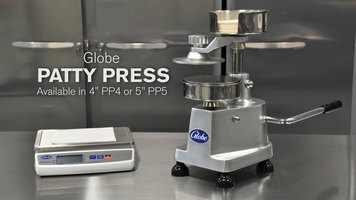 The Globe Patty Press is available in 4" PP4 or 5" PP5 sizes and is exceptionally easy to operate. Just weigh the ingredients on a scale, and then prepare the press. Prepare the press by pulling up on the lever, placing a sheet of patty paper on the platform, and pressing the side button to retract the platform. The platform now turns into a small well. Roll and pack the meat together, placing it in the well on top of the paper. 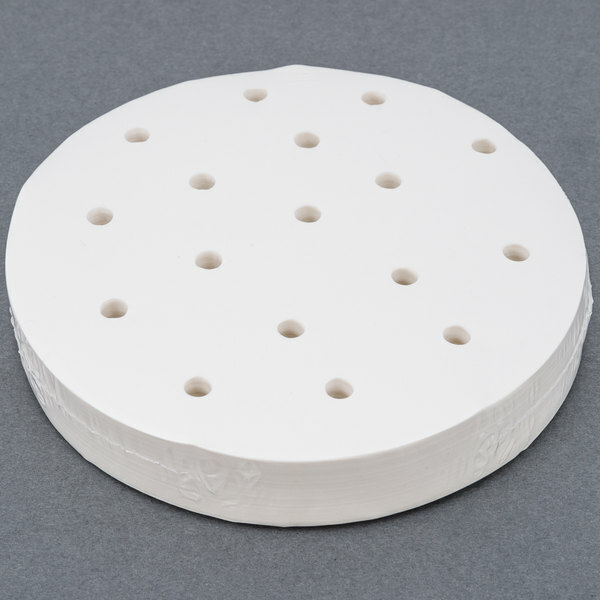 Then take another sheet of paper, and lay it on top of the product, pressing down slightly. 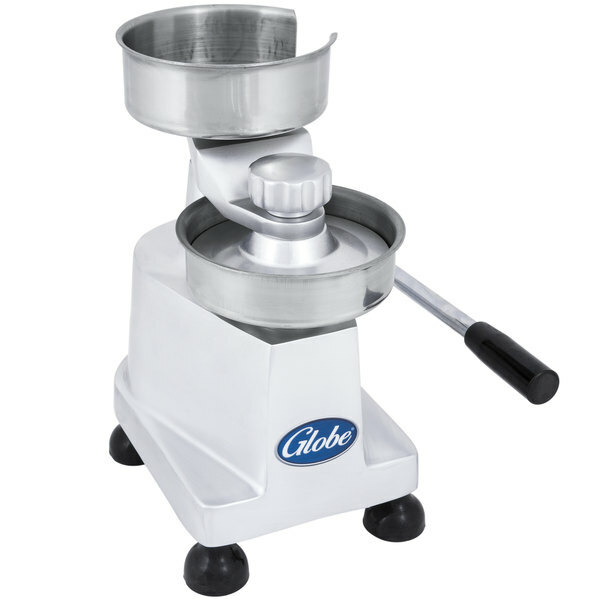 Once the product is in place, use the lever again to move the top part of the press over the product. The machine pushes down into the product to press it flat. 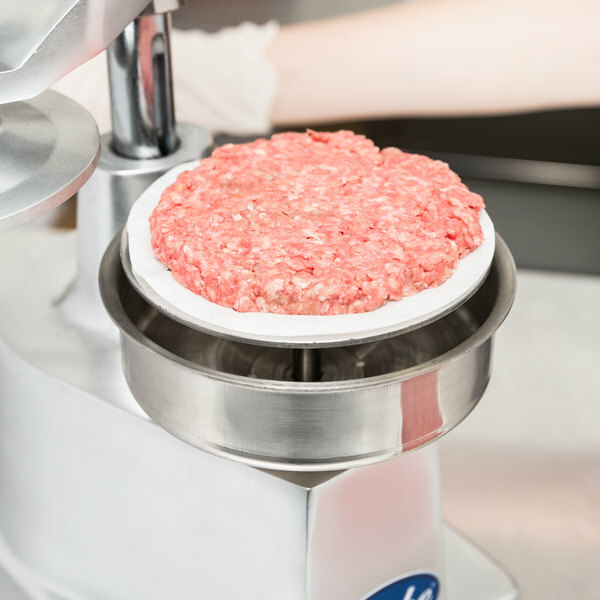 Lift up on the lever to access the now perfectly shaped, perfectly portioned patty. Repeat until the whole batch of patties is shaped and ready for the grill! 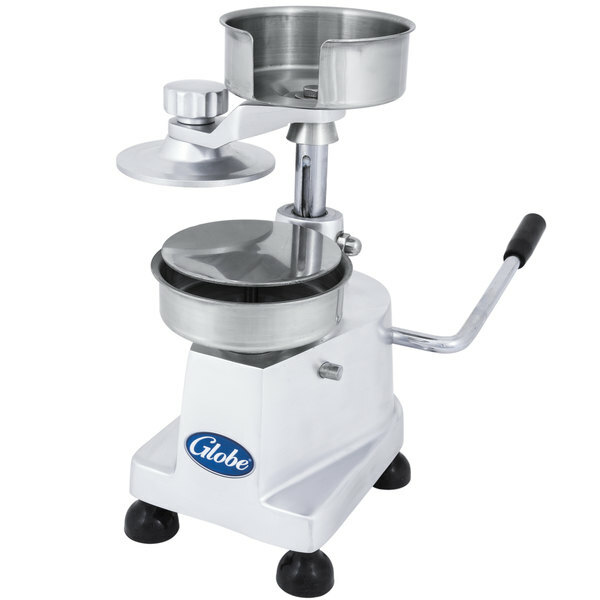 Consistent, reliable, and easy to use, the Globe Patty Press is the perfect way to form and portion burgers. 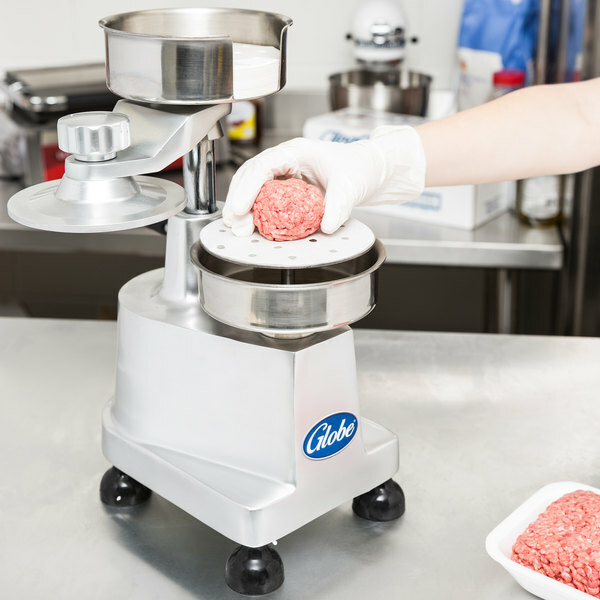 It uses a simple lever to shape ingredients into a uniform patty, allowing the operator to control the ingredients and portion size for the best-tasting burgers in town! 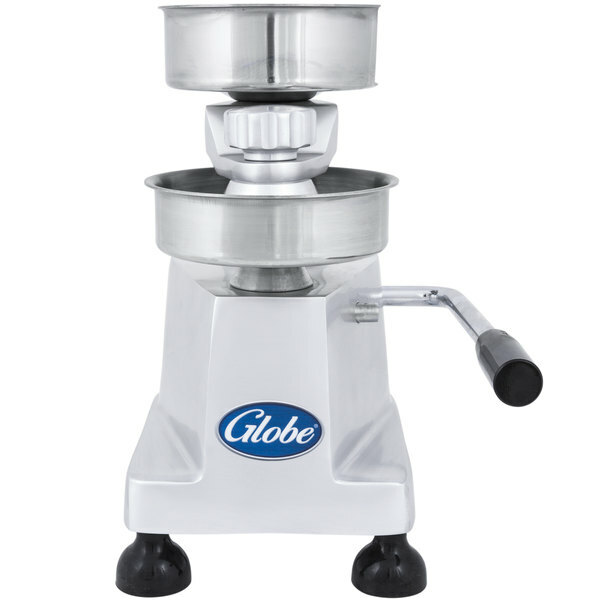 This easy-to-use Globe PP5 1/2 lb. 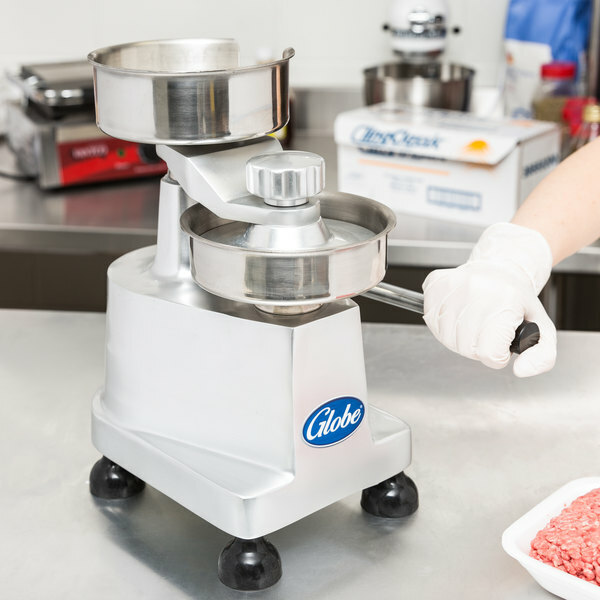 patty press will help you create perfect, uniform patties with just the pull of a lever! Whether they are beef, chicken, turkey, veggie, seafood, or even black bean, burgers and patties are a staple at nearly every restaurant. 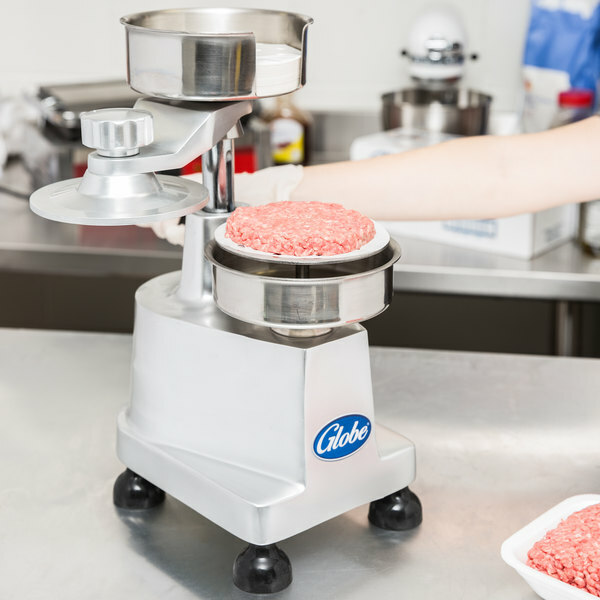 In a fast-paced kitchen, weighing and sculpting each patty by hand expends lots of time and money, which is crucial in the food industry. 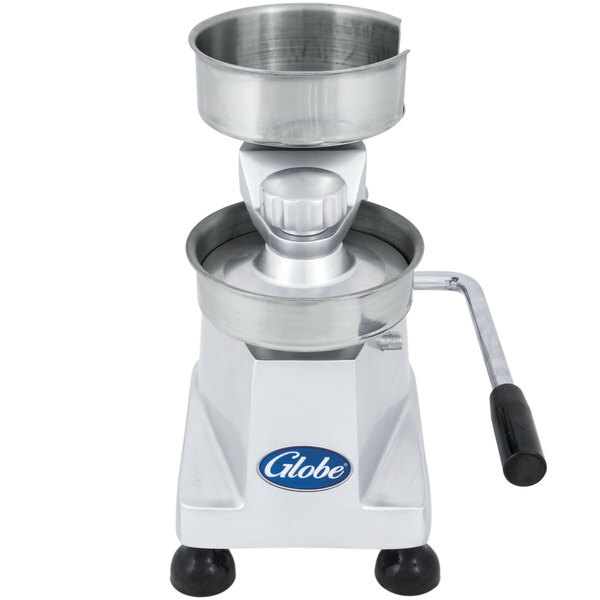 With this press you can ensure that each patty is 5" in diameter with a 3/4" thickness every time. By ensuring that you use exactly a 1/2 lb. 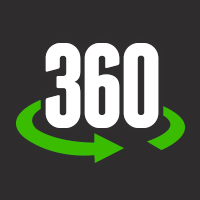 of meat per burger, you'll exponentially increase your yield and profit. 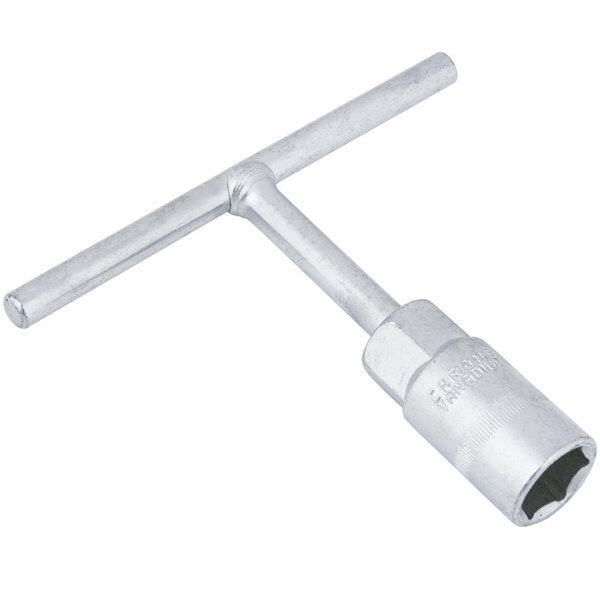 Whether you specialize in burgers or own a diner or cafe, you'll find yourself using this portion control tool all day! 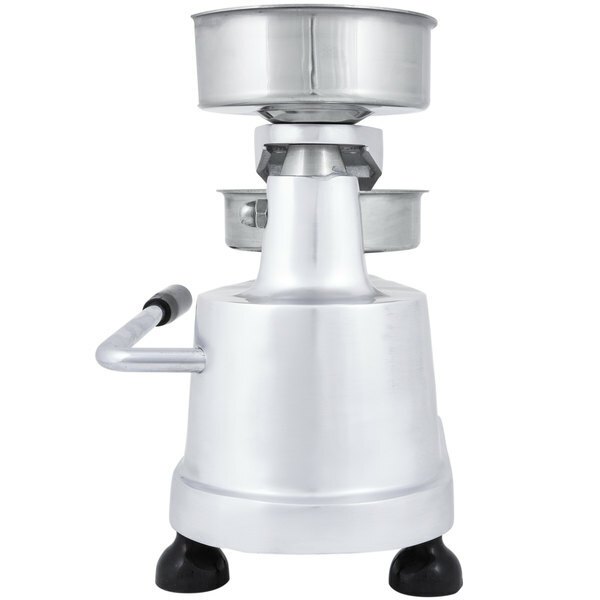 The anodized aluminum base and stainless steel bowls offer a durable, heavy-duty construction, designed for high-volume use. 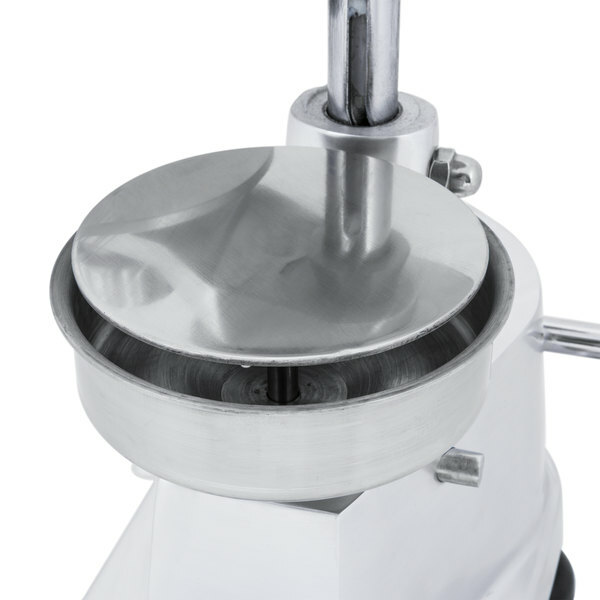 This patty press is controlled with a simple, single-level press handle for easy operation. 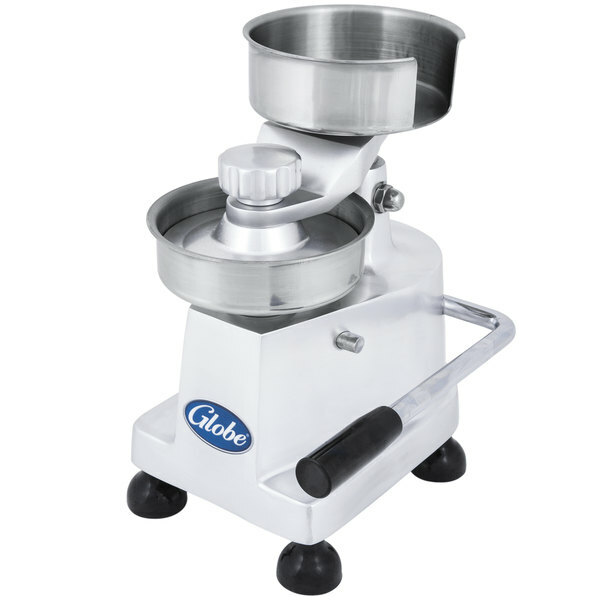 Its compact, ergonomic design makes this ideal for storage and saving essential counter space. 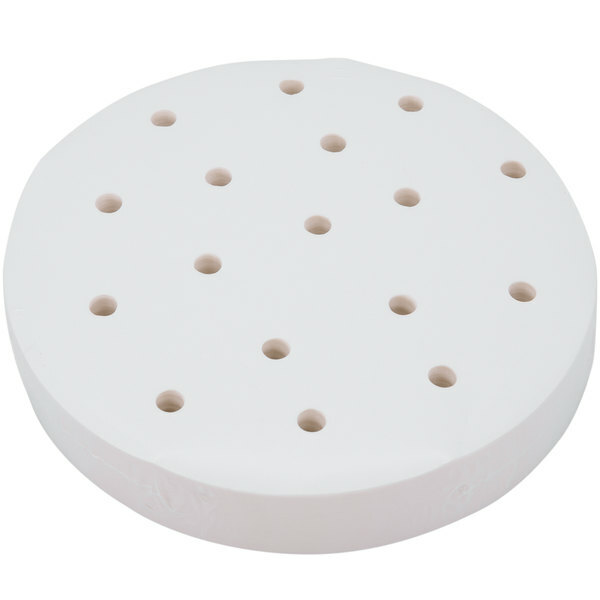 This patty press even features a detachable wax paper holder at the top of the unit, handy for lining your patty and removing for storage. 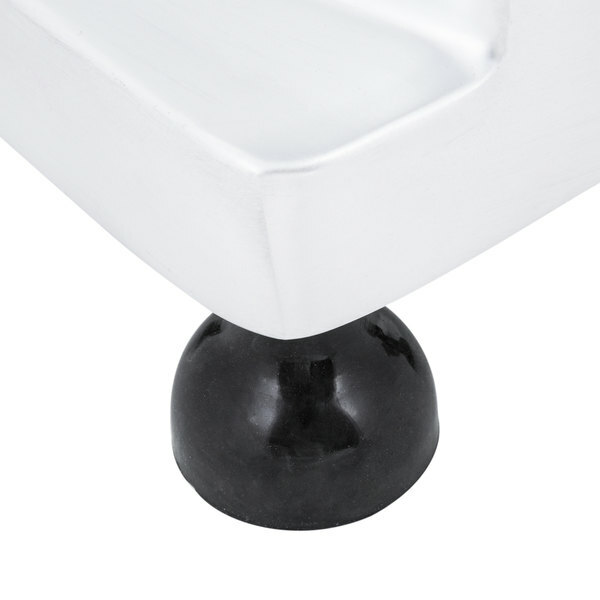 The four, non-skid feet ensure that your press stays in place throughout all day use. This 1/2 lb. 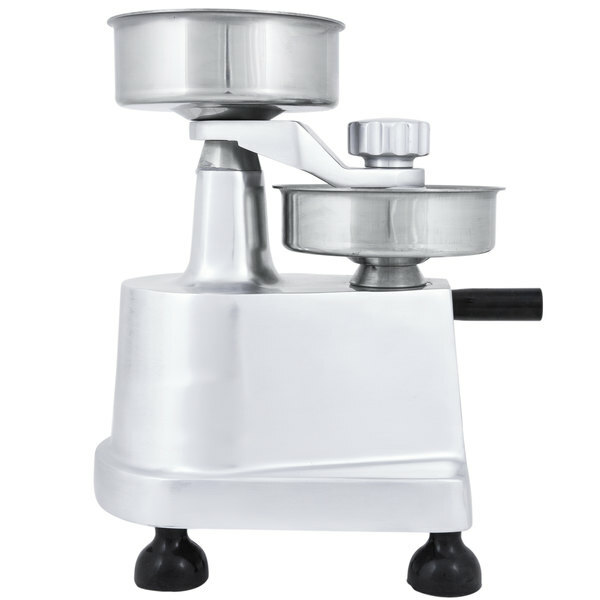 patty press offers a simple way to provide a consistent, gourmet appearance to your burgers and patties while saving precious time and money! We use to patty by hand and needed to increase production. Without adding more to the payroll I picked this press up with the hopes of production more than doubling in output. And it exceeded my expectations. I will say that if you do buy this and you intend on just tossing in the weighed product and pressing you might find yourself a little upset. For us I noticed we needed to really mix the ground meat very well as to distribute the fat so it acts like a glue. 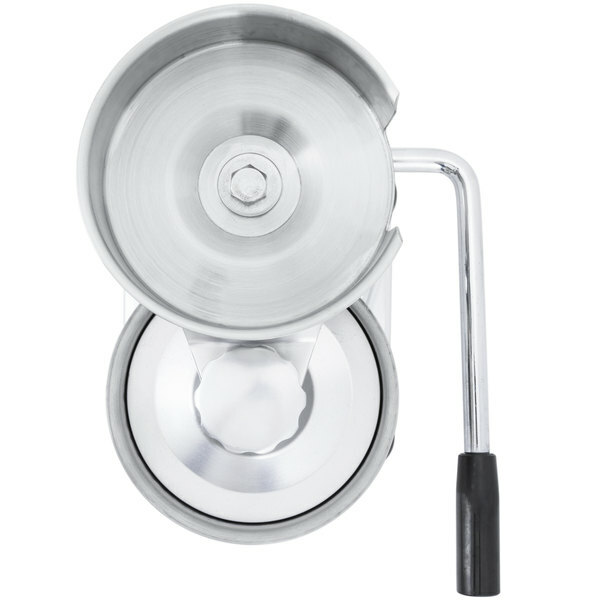 Just tossing it in and pressing straight from the grinder might not cut it for you. And your grill cook will lose his mind with broken patties. Heavy weight really strong patty press. Great quality. 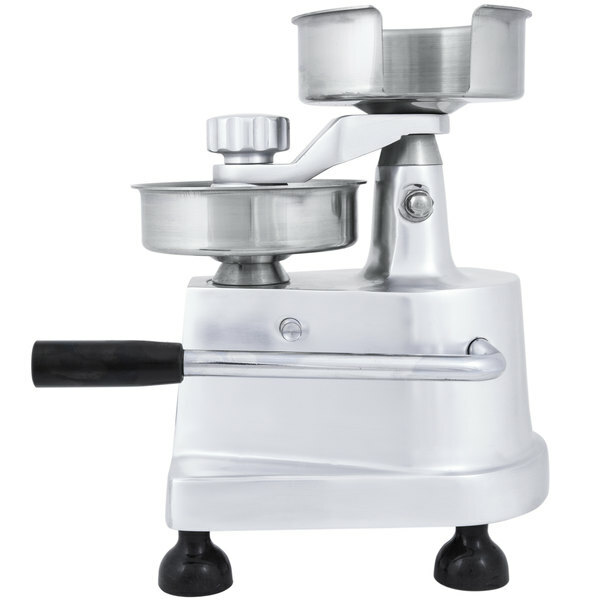 We use this daily to press many patties and it holds up really well. Perfectly round edged patties! I have a different press but I like this one better. much easier to use and no plastic sheets to wash, just use the papers on top and bottom. This may very well be the best purchase I ever made! It makes our 1/2lb cheeseburgers look fantastic. They look uniform and cook evenly every time!